THURSDAY, June 28, 2018 (HealthDay News) -- The genes that make Fido your best friend are being uncovered by researchers. The investigators compared the DNA of modern dogs, ancient dogs and wolves. That comparison found something odd: Sometimes, the DNA of modern dogs didn't match that from ancient canines. "We convinced ourselves that previous studies found many genes not associated with being a dog but with being a 'breed' dog," said Amanda Pendleton, a postdoctoral research fellow at the University of Michigan. Breed dogs don't reflect the genetic diversity of dogs around the world, she said. About three-quarters of the world's dogs are "village" dogs. Unlike breed dogs, which mostly appeared about 300 years ago, village dogs roam and look for food near people, Pendleton explained. They also mate freely. With their DNA comparison, Pendleton and her colleagues in assistant professor Jeffrey Kidd's laboratory teased out genetic changes that resulted from humans' first efforts at domestication. The researchers identified 246 genetic sites and said these influence brain function, development and behavior. The findings appears to support what is known as the neural crest hypothesis of domestication. "The neural crest hypothesis posits that the phenotypes we see in domesticated animals over and over again -- floppy ears, changes to the jaw, coloration, tame behavior -- can be explained by genetic changes that act in a certain type of cell during development called neural crest cells, which are incredibly important and contribute to all kinds of adult tissues," Pendleton said in a university news release. Many of the genetic sites pinpointed by the researchers are active in the development and migration of neural crest cells. A gene called RAI1 is one of them. Changes in this gene may help explain why domesticated dogs are awake during the day rather than active at night like most wolves, the study authors suggested. Other genes that Kidd's lab identified in dogs overlap with human syndromes resulting from flawed development of neural crest cells, including facial deformities. 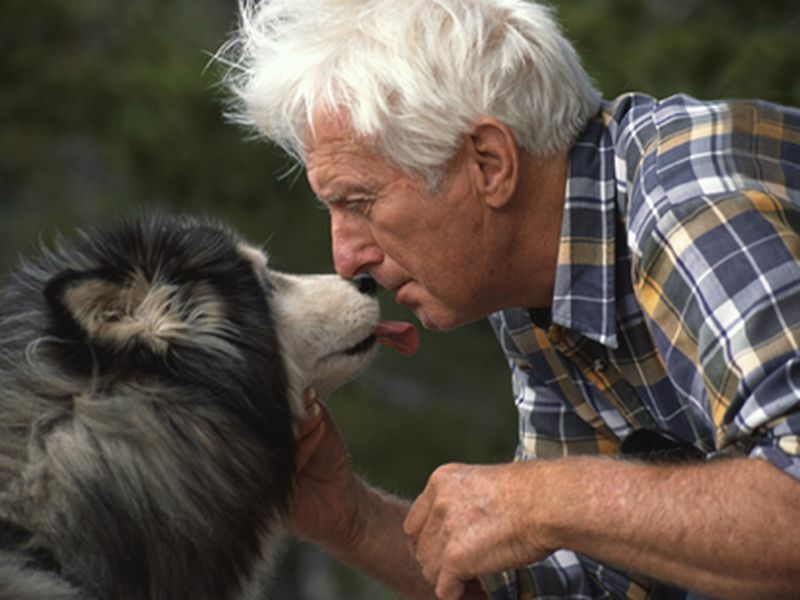 It's these parallels between man and his best friend that make the research valuable. Kidd said that the team is "using these changes that were selected for by humans for thousands of years as a way to understand the natural function and gene regulatory environment of the neural crest in all vertebrates." The new report will be published June 27 in the journal BMC Biology.